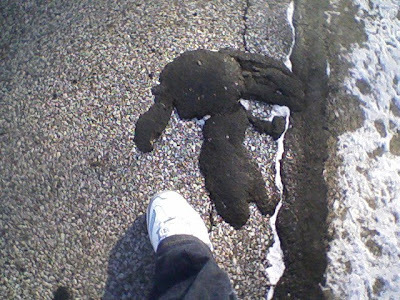 Asphalt patch blob that looks like a cartoon elephant who is refusing something--pure proof that it's time for the country to swing hard left. Hey buddy? I bet you wouldn't have thrown that ol' french fry out the window of your car if you had dipped it in a vanilla milkshake first. No thanks, I'll walk. 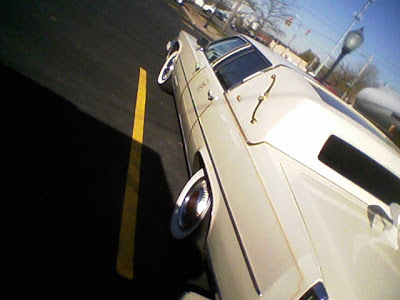 Wait ... on second thought ... you got any ice cold Pabst in the back? 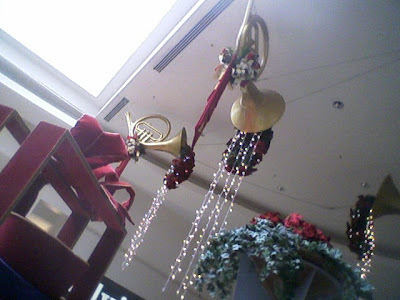 Decorative horns at the mall that look like they have lighted barf dripping off would-be tongues. Campbell's soup is good food. 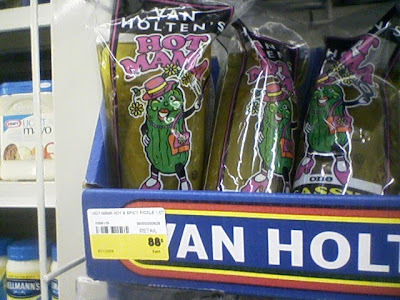 Terrifying prepackaged Van Holten Hot Mama pickles. 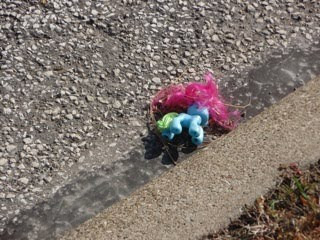 My Little Pony go bye bye. 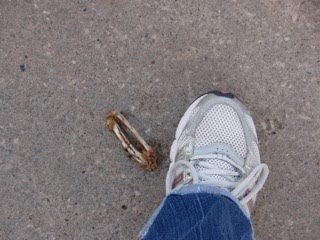 If I was that discarded chicken wing, I'd feel mightily affronted! That is the scariest pickle package I have ever seen. This country can barely make it to the middle of the road. i feel sad for my little pony... and oh yeah, somebody gave me one of those hot mama pickles as a pre christmas gift. wonder what that means? anyway... nice photo montage! Very nice Erin, I especially like the lighted barf dripping off the would-be tongues. So original. e: what's with the littering problem in your neighborhood? 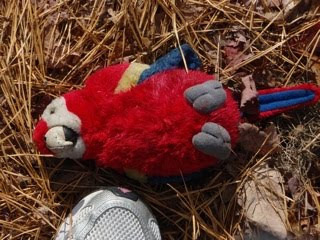 you should get pictures of them discarding those french fries, chicken bones and old toys and turn them in. $200 fine. 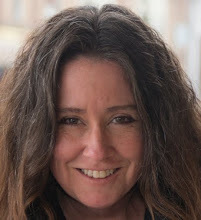 Thanks for your posts! 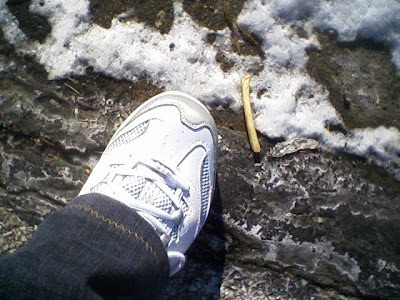 I always always always look down whenever I'm walkin'.....but I never never never thought about snappin' any pics of what I might be runnin' into/over. After seein' this tho, I reckon its about time I changed my way of thinkin'. Hey, I could possibly be the next Warhol-like famous photographer for crissake! 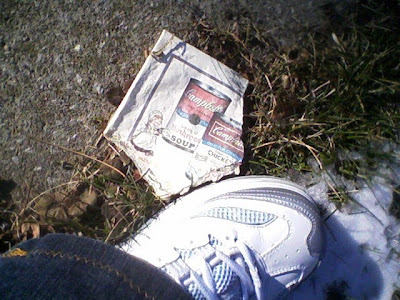 I'm with Bill... too much litter! wv: hagdmidn.. You've got a hagdmidn of a mess in that there neighborhood! I couldn't see the cartoon elephant. I saw a rabbit plush toy with an abnormally thick right ear. you really have tiny feet don't you? i once saw a guy i just met eat one of those pickles (that had been gifted as a white elephant random present seven months earlier) for five bucks.